‘twas a gorgeous day- dog and I went out exploring. 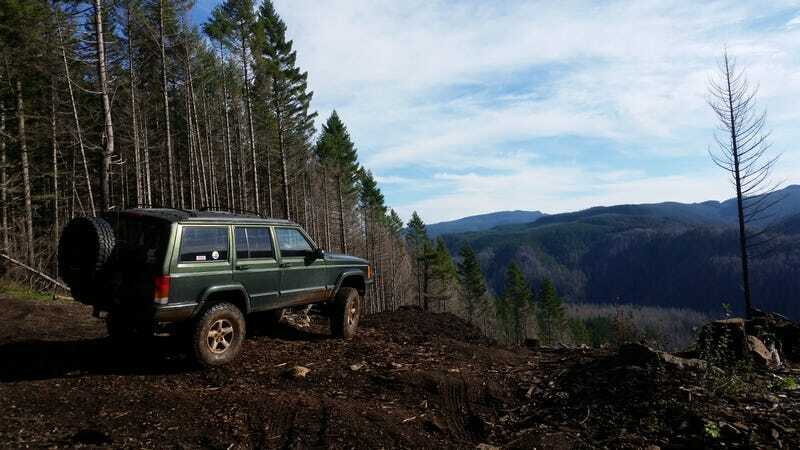 Wheeling solo, no recovery points, no tools, bone stock XJ and a giant water hole. I yanked him out, pulled the plugs, cranked the water out of the engine and sent him on his way.